These times we have been living in have been extraordinary on so many levels. Hurricanes, floods, record-breaking earthquakes, insane politics, etc. etc. and the eclipse! In my personal life there have been some huge challenges over the past couple of months that have caused me to drop off the map. 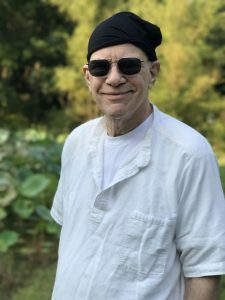 My husband Bob was diagnosed with leukemia on August 1 and he spent the entire month of August in the critical care unit at Vanderbilt. Thank goodness he had the type of leukemia that was more treatable and he had a good prognosis. Still, it has been beyond heartbreaking to watch him go through this and I found myself incapable of doing much of anything besides trying to be by his side and pray that he gets through it. I woke up this morning on my birthday in such gratitude because yesterday late in the afternoon Bob’s tests came back and he is in remission! He has a few more treatments ahead of him but we are all so relieved and want to thank everyone for their prayers and thoughts on his behalf! I know there are so many suffering today with all of these overlapping disasters as well as folks going through serious illness like we did. I have always tended to shy away from the expression “I feel blessed” even as we come out on the other side of this with good news. What about the child who doesn’t survive the hurricane or the illness that doesn’t go into remission? Although I don’t judge those who use that expression because I know it comes from a well-intended place, I’m never comfortable saying it. It’s intrinsically human and natural to feel blessed with good fortune when good fortune prevails. But I get caught up wondering about all the ones who pulled the shorter straws. I used to get in a lot of trouble as a kid in Sunday school class for outwardly expressing that I had a “bone to pick” with God over all of this suffering stuff. The Catholic nuns of the early ’60s would have no part of it and I spent a lot of time sitting in the hallway. Regardless, I have no trouble embracing a deep sense of gratitude to be waking up on a day where the wind has shifted and the coolness of fall is in the air and the hardest part feels over for at least for a little while, or at least for now. Now, more than ever, my favorite hymn is “Farther Along We’ll Understand Why” because it reassures me that it is all right not to know how, when or why we suffer. That in spite of it we can be grateful for times of joy and try to remember even in our darkest hour that we can reach for love. Happy birthday Beth! Thankful for your good news! Love you Beth. You have my prayers for you and your husband. In times of trouble I have often read the book of Job when I wanted to rail against God. It is true that “farther along” we will understand why. Prayers from all in Clane …..Bob and Beth our prayers are with you .. So very sorry to hear about your illness and yet so very happy to hear that you are in remission! Sending big hugs and happy healing vibes to both of you. I still think fondly on meeting you both at Connecting for Change here in Vancouver! So grateful for the good news on Bob. Prayers for continued healing and permanent remission! You are always in our thoughts. 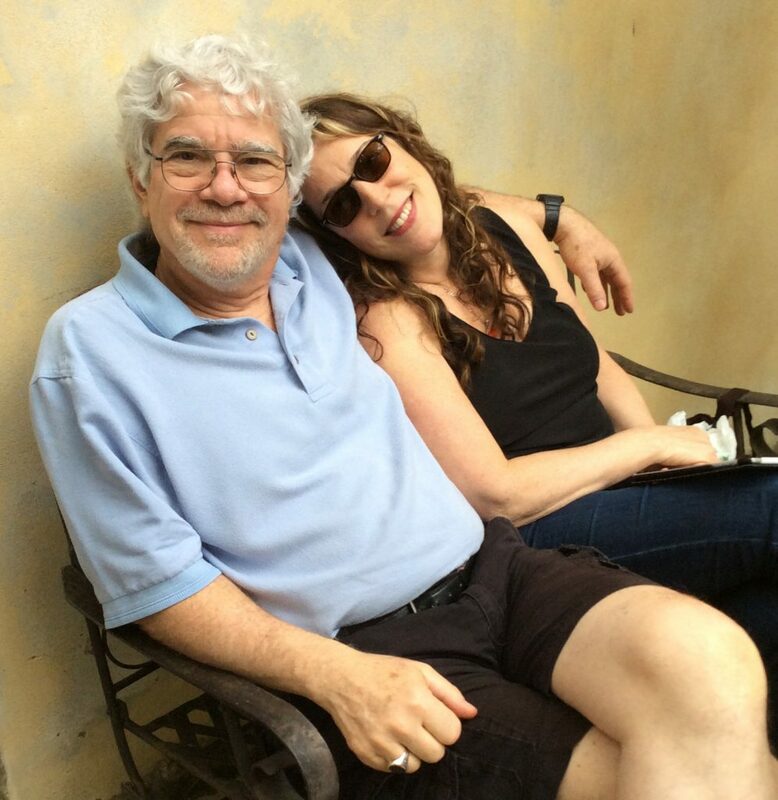 Love to you and Bob and thank you for sharing the news! I am so happy for you. Did not know this was going on. I am sure that the healing energy of your voice has made a big difference. Sending wishes for continued health — and song– for both of you. My prayers are with you and Bob. You have been such an inspiration to me! I love your music, and I wish the best for you and your family. Thanks for posting this Beth. I’m so sorry you’ve both had to go through this (I know it’s an all-too-familiar road for you), but so happy that you’re both through the worst of it. I’ve struggled with the same “short straw” issues and questions since childhood and it’s helpful to read your thoughts on the subject. My health is not good, to say the least, but it’s a rare week that your words “How heavy the empty heart, how light the heart that’s full” don’t help me through one difficulty or another. I do my best to keep my heart full of joy and I’m grateful to bear personal witness to the truth contained within those words. I actually used that quote (duly credited!) in my memoir – published last spring (2016) – “My Four Minute Life; The Journey of a Very Human Songwriter.” If you’ll send me your postal address, I would absolutely love to mail you a copy. Meanwhile, I’m so happy we got to know each other and share the path during my time in Nashville. I think of you often and fondly. That makes my ❤️ flutter and I ❤️ the photos! I ❤️ you, Beth. 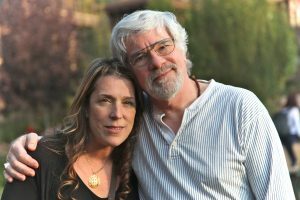 Sending healing and loving energy to you, your husband, and to his medical team, Beth. I returned from Nashville to find Barb with “suspicious x-rays” which great doctors were able to sort out but made for terrifying times until they did so last Tuesday. I can’t begin to grasp what you went through but to arrive at your result is miraculous and I’m glad for the intense joy of relief you must be feeling. We felt terrifying fury as though we had been pushed off a cliff followed by the ecstasy of realizing there was a bungee cord attached. Dear Beth, I send many positive vibes from Melbourne Australia. I met you and Bob when you came to our home for dinner. Richard and I were married then. His sister is Gelly Sandford in the UK. Sadly 4 years ago he chose to walk out the door after nearly 24 years together. I have found it so difficult trying to re invent myself, move from our beautiful home and come to terms with my life. I listen frequently to your music. Wow! Sending continued prayers, healing, and light on this happiest of birthdays! Prayers for you and Bob, sweet Beth. ❤️❤️❤️ Your Ohio family loves you. Be fearless. God’s grace is with you. God is at work in you. God loves you. Though simple, it helped me to hear these words so I thought it might help you. Even when God seems not to be listening, he is. We’re praying for a full recovery. Much love to you both. I really enjoyed reading this! I am one of those from your past in Montgomery,Al. at Jeff Davis! I am one of those who sat around with you between classes listening to you play. Killing Me Softly was the one that stands out most! I am so happy to hear Bob is doing so well! I will keep him and you in my prayers! And yes we are all do blessed! Beth you are both in my prayers! Oh, Beth, you don’t know me, but I was a client of Bob’s in New Jersey. He has been on my mind constantly for the past month or so, and I thought it was because I felt a strong desire to tell him about my health. I was diagnosed August 4, 2015 with stage 4 lung cancer. Now I think it was because I needed to hear about his health. I am so happy to hear that he is in remission!! Please give him my love and best wishes! Very dear Beth, love and prayers from Cambodia. Thinking of you and what you are facing. You inspire and touch so many hearts. I hope now that you will feel all the gratitude and love back to you as you face and live and cherish each day. Beth, I’m so glad you had good news about Bob for your birthday! My heart hurts for you that you have had this happening in your life. Prayers going up for you and your family. Hope to see you again before too long. My name is Jania and I’m Bob’s sister out-law. I haven’t had contact with Bob for many years, but I haven’t forgotten his kind gestures toward me and his gentle soul. I was saddened to hear of his illness and quite relieved and happy to hear about his remission. Wishing you, Bob, Jonas and Noah many more wonderful years together. Great to hear of Bob’s good news. I know this news made for a very happy birthday. “Farther Along” is my all-time favorite hymn. Peace be with you both. Thanks for the update. Prayers that you and your husband will feel God’s presence as you go through this challenging time. 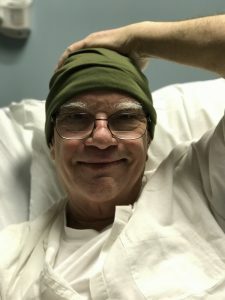 News of Bob’s remission is most wonderful! Blessings to you both, for continued recovery, strength and inspiration. Beth–I am sorry to hear that your husband has leukemia, but so happy to hear that he’s in remission. You don’t know me, but I was at the Women on Fire Retreat in Nashville and enjoyed so much hearing you talk and sing. I feel like I know you, so I’m wishing you and Bob all the best. Well said! Thank you for sharing. In a similar situation and do know that the only constant in life is change. Even suffering is an opportunity for growth and when accepted expands our capacity for joy. Prayers for both of you to be comforted, strengthened and enlightened through each season of your lives. Dear Beth, A while ago I sent a selection of my songs on C.D to the studio manager at Ocean Way where you were holding a songwriting workshop asking if he could hand it to you. Although many of my songs have been broadcast here I have had very little record success so I wrote asking if you could give me your thoughts as I thought my ‘toons’ might be more suitable your ‘side of the water’. I was a little disappointed at not receiving a reply but I now find myself having to apologise to you. I have just read your news regarding your husband Bob and I’m sure the last thing you wanted was someone like me asking for your advice at such a stressful time . I send my warmest wishes to you both and am so glad for your good news. My wife has been having treatment for breast cancer so it’s ‘ life between scans for us . Thanks for your beautiful songs Beth . I’m listening to your 1990 recording of “Take It As It Comes”. I bought a few of your CD’s back then and I’ve always listened to them. Sometimes I’ll be standing somewhere and I’ll hear your voice singing, “Life Holds On”. I’m with people when they are dying and when they are birthing (what a blessed life I have) and your music has sustained me many a time. I hope your husband’s illness is becoming more of your history and less of your present.